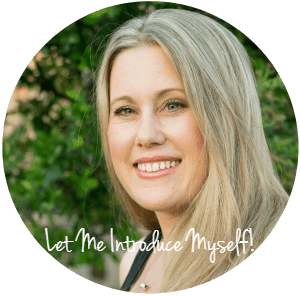 A few months ago, we moved my horse to a nearby barn…and what a blessing it has been! I’ve loved having him nearby and getting to spend time with him nearly every day. It makes my heart happy to have my favorite horse just a short drive away, and it’s good for me to spend time outside. It’s good for all of us to spend time outside. Sometimes I find myself at the barn for hours at a time, and so I will take a snack and a drink to tide me over. 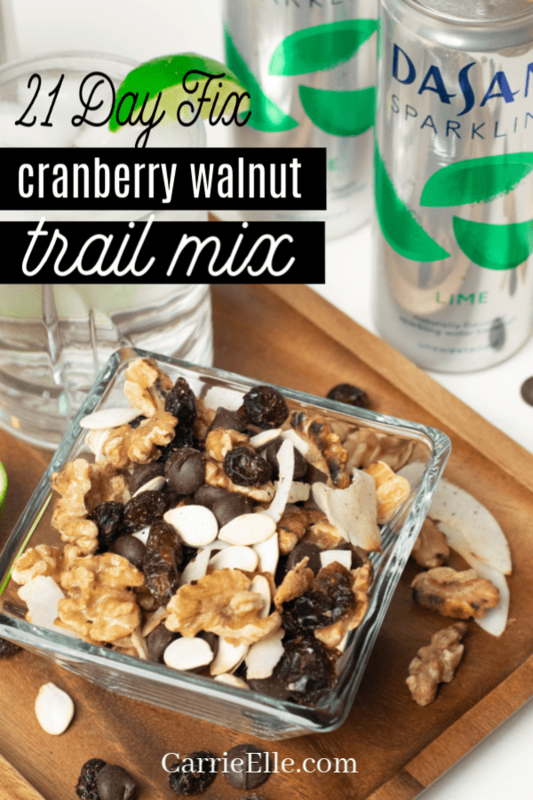 This filling 21 Day Fix trail mix goes perfect with DASANI® Sparkling (my favorite is lime!). 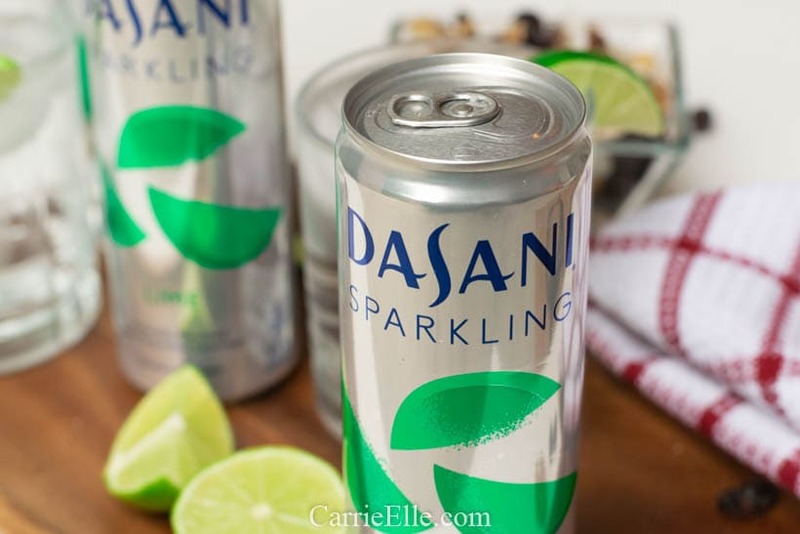 There are lots of DASANI Sparkling flavors available – lime, black cherry, and berry are a few favorites around here. We pick it up at our local Kroger. 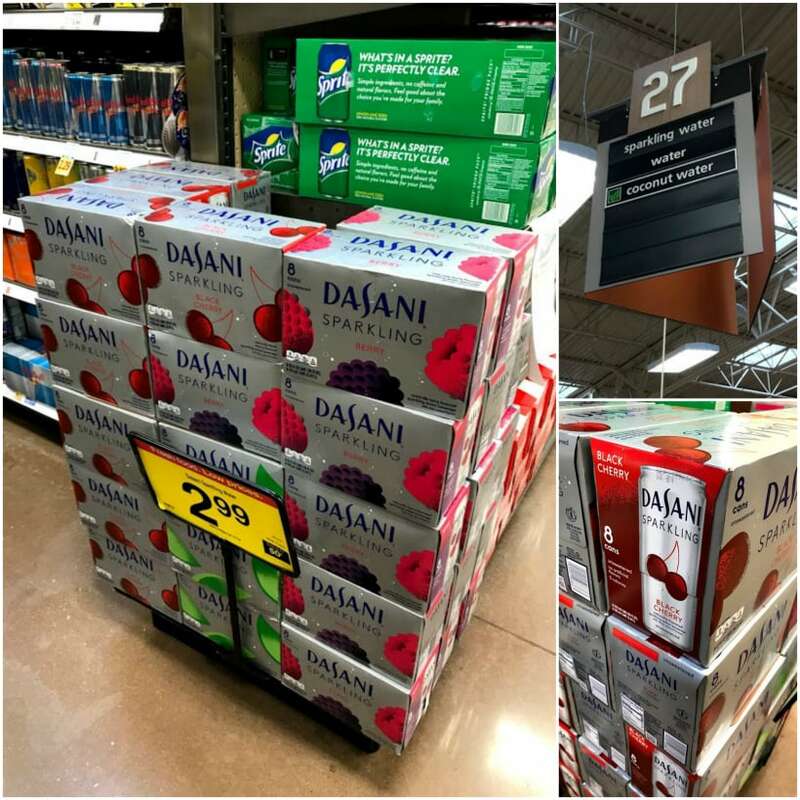 You can find DASANI Sparkling at a Kroger near you using this store locator. I’ll get to that recipe in just a second! 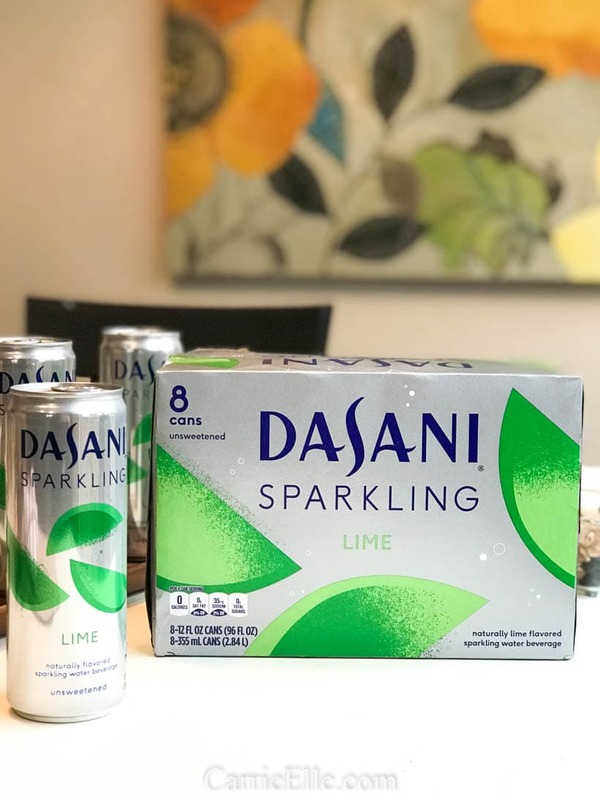 First, I want to make sure you know about an awesome DASANI Sparkling sweepstakes happening right now. October 1st through November 15th, you can enter for a chance to win a trip to Albuquerque, New Mexico for the 2019 Albuquerque International Hot Air Balloon Festival! The Grand Prize winner will win a trip to the 2019 Albuquerque International Hot Air Balloon Festival in October 2019 for the winner plus 3 guests. The prize package consists of round trip, coach-class air transportation for 4, 3 nights’ accommodations, rental car, 2 Gondola Club passes to the Festival, a hot air balloon ride for winner and 1 guest, $1,000 spending money, and travel agent services. NO PURCHASE NECESSARY.Legal residents of certain U.S. states and D.C., 18 years or older.Ends 11/15/18.For rules, hashtags, alternate methods of entry, odds, prize and complete details, visit https://bit.ly/2vaka0y. Void in CT, FL, IA, ME, MA, MN, NH, NJ, NY, ND, OK, PA, SD, and VT and where prohibited. 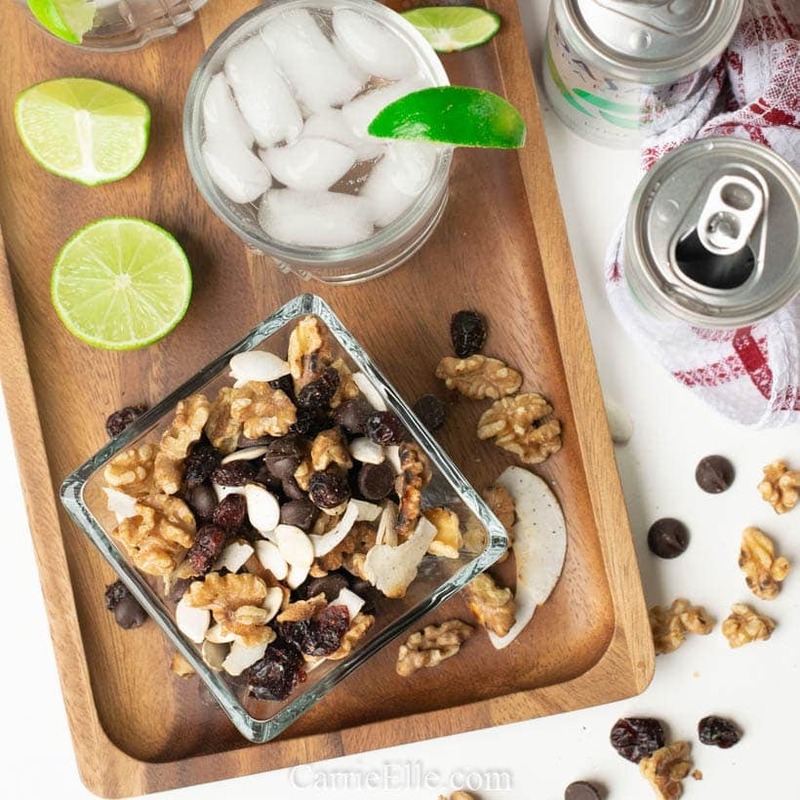 OK, how about that trail mix now? 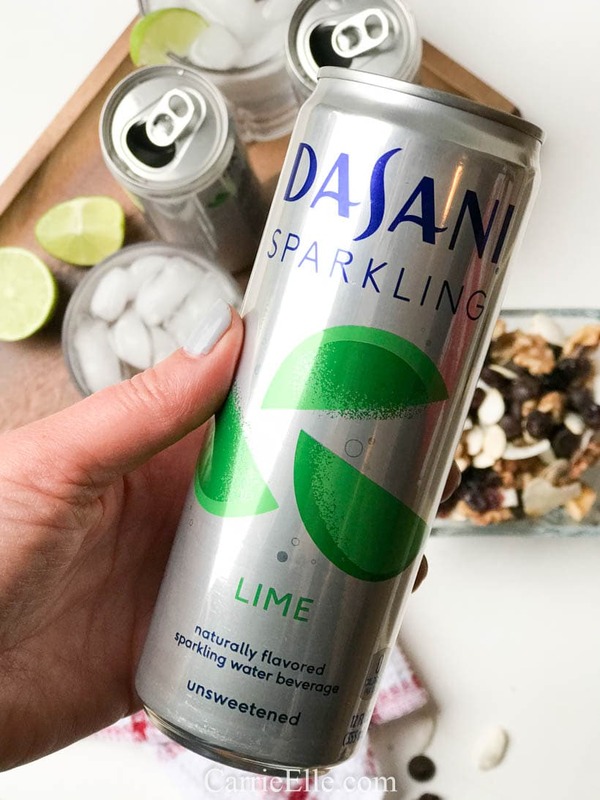 It goes perfectly with DASANI Sparkling lime, and it’s super portable and easy to take with you. Toast your walnuts and coconut in a skillet over medium heat. Toast separately, for about 3-4 minutes each. 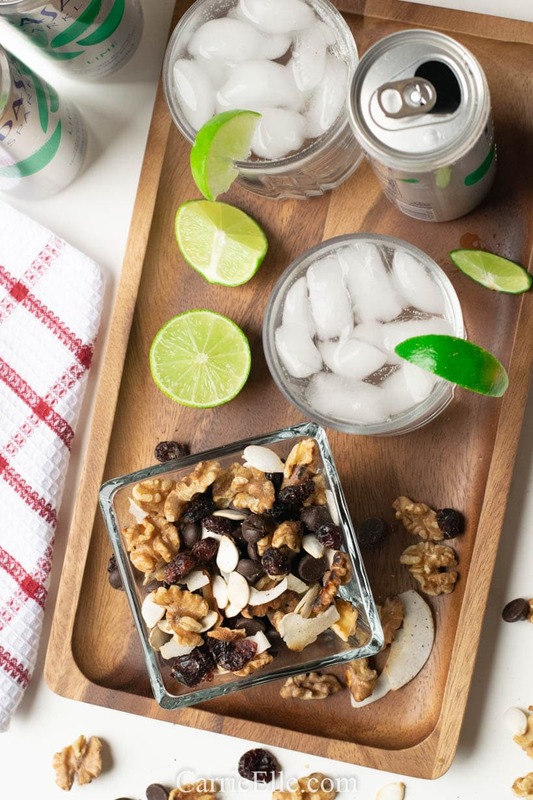 Both the walnuts and the coconut toast easily and quickly, so watch them carefully and stir while toasting – remove from heat when they begin to brown. 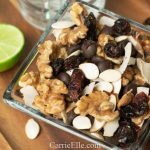 Combine walnuts, coconut flakes, pumpkin seeds, dried cranberries and dark chocolate chips in a small bowl and mix. 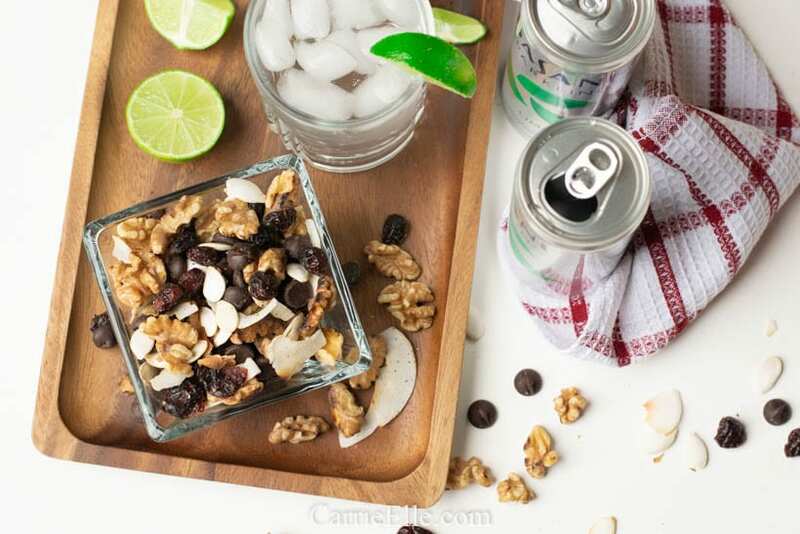 This easy snack is full of flavor and ingredients that will keep you full and satisfied. Toasting the coconuts and the walnuts give it a really robust, full taste, but you can absolutely leave them raw if you’d prefer (or don’t have time to toast them!). 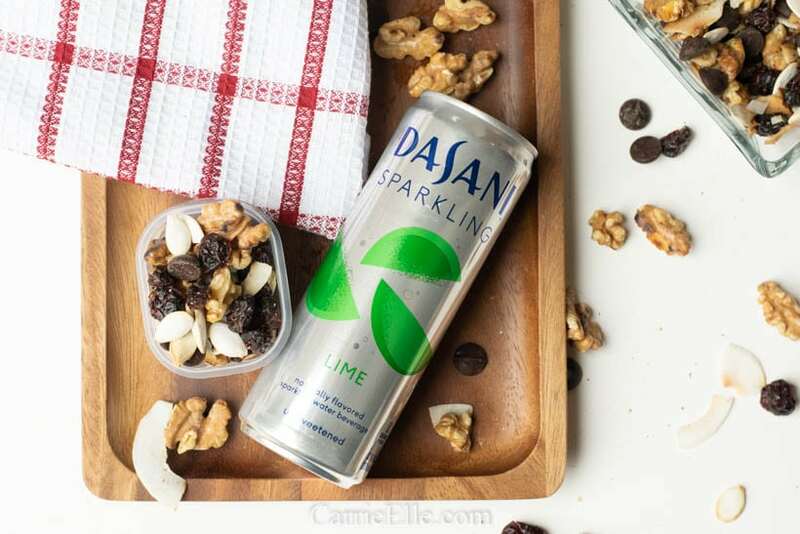 This portable snack is perfect to grab-and-go with a can of DASANI Sparkling! Toast your walnuts and coconut in a skillet over medium heat. Toast separately, for about 3-4 minutes each. Both the walnuts and the coconut toast easily and quickly, so watch them carefully and stir while toasting - remove from heat when they begin to brown.